The value of pipe #023 is n/a points. 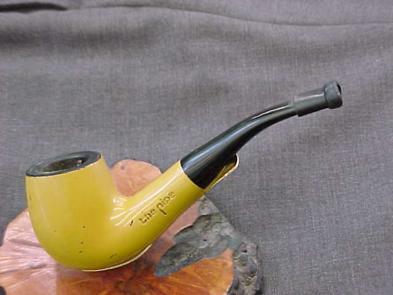 Baker Egerton told me of this pipe being offered on eBay by Shirley Wells and I entered my bid. In due course, I got the pipe. I got a better example of the shape and color, though, and gave this one to Al Blankenship along with a couple of others. To see why take a look at the cut-away he prepared and gave to me.